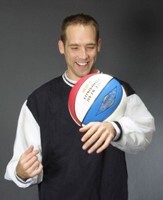 Dan Wetzel has been captivating audiences across the globe for nearly 20 years with his basketball performances, while also reaching them with the Gospel of Jesus Christ. As a motivational speaker and professional basketball clinician, Dan has spoken and performed for a variety of groups ranging from the NBA, NCAA, Billy Graham Evangelistic Association and the United States Air Force. 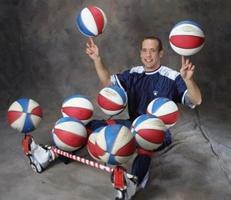 Witness Dan's eye-popping abilities to handle a basketball! Be inspired by his testimony of God's grace and faithfulness in his life. Join with him in pointing people to King Jesus!Dan’s life purpose is to glorify God and to proclaim His greatness to all people! Dan's ministry inspires people of all ages to become champions in the "game of life" by following Christ and he would be honored to team-up with you in your disciple-making and Kingdom-building efforts! In addition to his traveling ministry, Dan also serves as Pastor at Countryside Christian Church (Oshkosh, WI). He lives in Neenah, WI with his wife Deborah and daughters Sofia and Aliyah (and another on the way)! 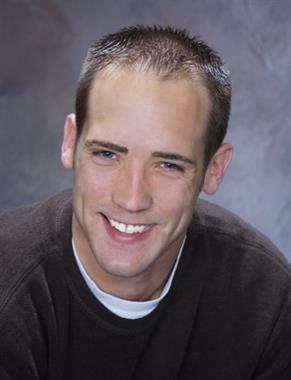 He is a graduate of Moody Bible Institute and is currently completing his seminary degree. The presentation was wonderful at our church and Washington School. The following morning, parents, teachers and children all had positive feedback. Great job! Dan’s energy was great and the kids LOVED him!